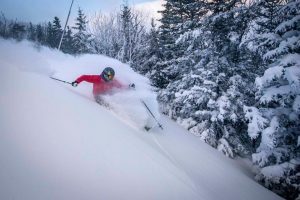 North Conway, NH – Yesterday we told you that the Christmas/New Year’s holiday week broke records at Jay Peak Resort in Vermont. Reports are now trickling in that indicate strong holiday business across the White Mountains of New Hampshire and Maine as well. Businesses throughout New Hampshire’s Mt. Washington Valley say that Christmas week and New Year’s Eve weekend 2016 were among their most successful in a long time. Last year, a dearth of snow and warm temperatures throughout the Northeast translated to less traffic in the Valley. Yet this holiday season, the December 29th snow storm, described as a “Bombogenesis”, delivered just the weather bomb needed by the Valley’s downhill ski resorts and cross-country ski centers to start 2017 out right and expand terrain significantly. Charlie Mallar at the 1785 Inn in North Conway confirmed that travelers were anxious about spending the holiday week in the Valley even before the storm hit. “We were sold out in advance for New Year’s weekend. The Monday holiday probably helped some, but the great natural snow conditions was the major factor. Even though our cross-country trails were open last year, there was so little snow that most people assumed that they were not even open,” shared Mallar. Christopher Bellis and Eddie Bennett, co-owners of the Cranmore Inn in North Conway, also felt the holiday week was successful. “Revenue at the inn was up 31 percent over last year and room nights were up 20 percent,” they said, adding that the inn ended the year with none-percent growth in revenue and room nights despite a challenging winter last year. Bellis and Bennett conveyed that the increase in bookings can be attributed to better weather this winter season for skiing and outdoor activities compared to last year. And not only did visitors to Mt. Washington Valley ski and play, but they also dined. Bud Selmi from Margarita Grill said that sales were up 25 percent over last year for the Christmas week, and that New Year’s Eve weekend was up, too. Bellis and Bennett, who also own Chef’s Bistro in North Conway, countered that their restaurant sales this holiday week were even with last year, speculating that more people dined in restaurants last year because there were fewer outdoor activities available then. Elsewhere around New Hampshire, Cannon Mountain officials reported that Dec. 30, 2016 was the third-largest single day at the resort in the past decade. Last year, Cannon had only nine trails and four lifts open during the holiday week, whereas last Sunday Cannon offered 86 trails and nine open lifts. 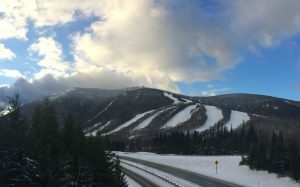 Last Friday was also the best single day at Loon Mountain in five years, exhausting available parking spaces at the resort, and it was the best single day at nearby Waterville Valley in two years. Across the border in Maine, totals from the Christmas week storm included nearly 30 inches at Mt. Abram and Sugarloaf, and a solid two feet at other ski mountains in the state’s interior. Coastal areas picked up a half foot of snow, kicking Powderhouse Hill into gear and provide stunning ocean views through snow covered trees at the Camden Snow Bowl. 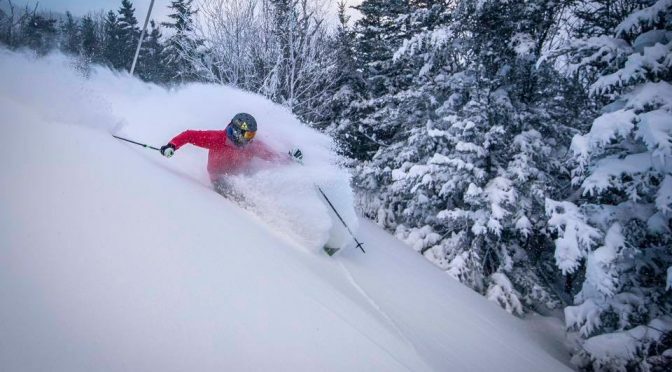 Big Squaw, Lonesome Pine Trails, Quoggy Jo Ski Center, and Bigrock Mountain had a fast start to the season with three feet falling earlier in the month, opening 100 percent of their terrain prior to the vacation week. 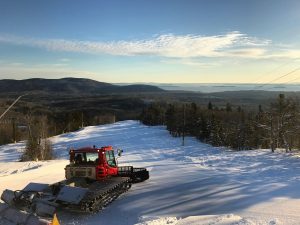 Nordic ski centers rely heavily on natural snow, so the vacation blizzard ensured operations at all 17 Ski Maine Association member Nordic Centers. One-day attendance records were broken at nearly each Nordic Center. The 30 inches of fresh snow contributed to 100% lodging occupancy through Christmas week at Sugarloaf, where skier visits through the holiday period were up 20%, and 15% year-to-date. 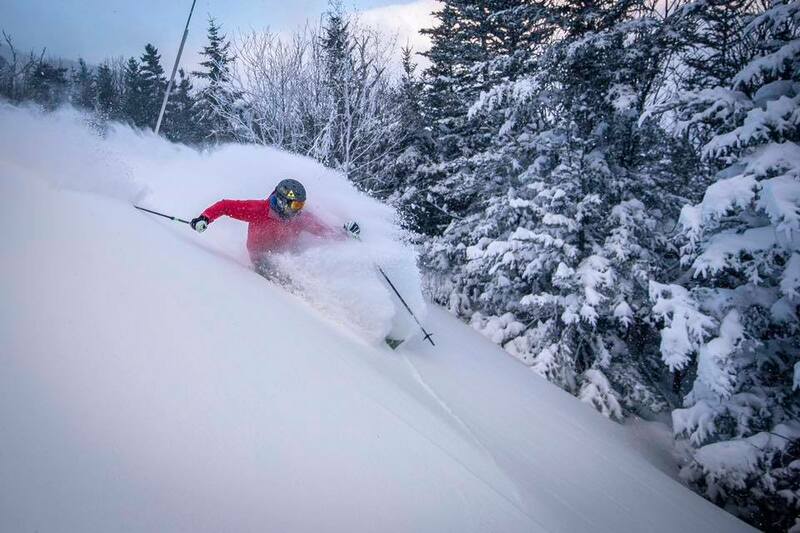 The 20 inches that fell upon Sunday River delivered skiers in record numbers. The resort sold more lift tickets on Saturday, Dec. 31, 2016 than on any other day in its history. Cars spilled into overflow parking on Dec. 31 at Mt. Abram in Greenwood. Lost Valley’s new owner, Scott Shanaman, was excited to see a capacity crowd enjoying the rejuvenation of his popular community area in Auburn. 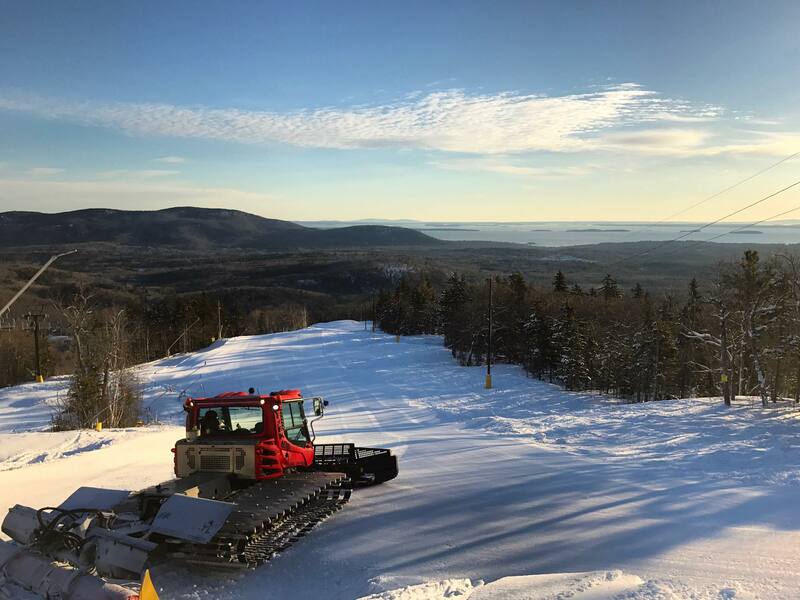 Camden Snow Bowl, overlooking Penobscot Bay, enjoyed one of its earliest openings in history as a result of their mountain redevelopment of its lifts, trails, and snowmaking. The ski area opened to the summit before Christmas and the excitement of the new snow gave a boost in ticket sales, lessons and rentals.